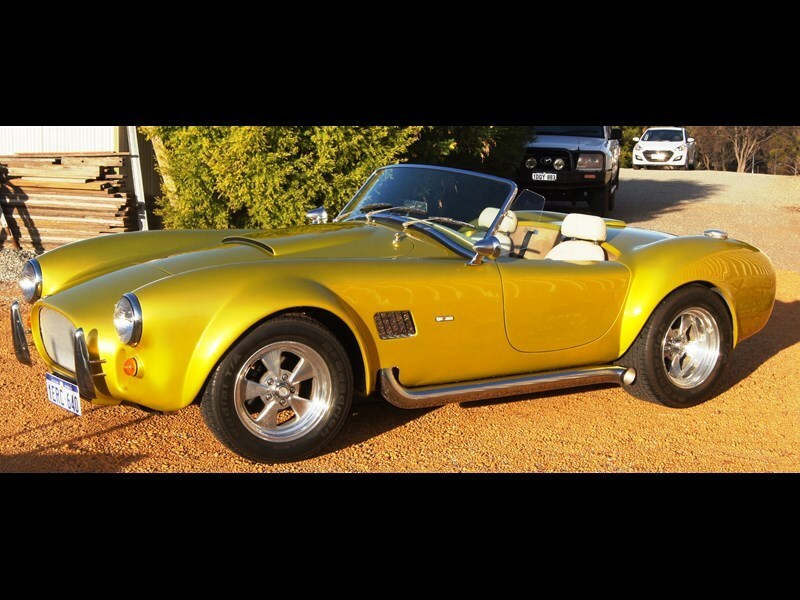 Cobra tribute cars offer the thrills of the real thing without the prohibitive cost. For most of us, the harsh reality is we're never going to own an original Shelby AC Cobra roadster - not when they sell at auction for millions of dollars. However there has been an enthusiastic international industry in building replicas, with several makers having a go at it in Australia. DRB is one of them and to this day offers kits to suit a variety of powerplants and budgets. There can be some real savings in buying an already-completed car, as owners often tip in more dollars than they get back. Also, this could well be the way to go if you're short on time, patience and/or the mechanical talent to put one together yourself. It can be enormously satisfying, but not everyone has the wherewithal. Which brings us to this, a 2004 DRB running what looks like a fuel-injected five-litre Windsor engine with a five-speed manual transmission. Basic construction is a steel spaceframe with fibreglass panels. The lines look faithful to an original and this one is on the market for $55,000. Just a word of advice: do your research on the car and make sure you're up to speed on what's required to register it in your state.